The place when you can make your smile even more beautiful and healthy. Most qualified and experienced doctors are available to take care of you all the time. We will deliver the medical and dental services of Japan in the UAE. 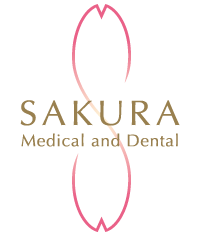 The Mission of Sakura Medical and Dental Clinic is to provide exceptional quality care while keeping the patient first. We are committed to providing excellent, top-quality care to our patients. We understand the importance of good dental hygiene and oral care and we're committed for providing you the best care in fun and pleasent environment. Get to know more about our multi-national team of highly qualified doctors. We provide comprehensive care with the highest quality to patients of all ages. With an emphasis on good health and prevention, we offers the best in family-centered healthcare including the following. In order to maintain a healthy way of living, we offers a comprehensive medical consultations and general practice (internal medicine). Residents in the UAE and neighboring countries, if you have any worries about your health please feel free to contact us. Functional aspect, of course, there is a confidence in the excellent treatment in aesthetics. In addition to the general dental practice as well, such as orthodontics and whitening to meet the needs of the times, will be happy to provide modern dentistry that require a high degree of knowledge and technology. For everyone working in the UAE and surrounding countries, we provide Health Check-up Programs for companies of all sizes. Our programs are flexible and can be customized in order to meet your specific needs. Please use the Metro Green Line. We are a five minute walk from Healthcare City Station. We are building no. 64 within Dubai Healthcare City (next to WAFI MALL). Please use the underground parking lot or the parking lot in front of the building.